Last weekend Iamsu! and his HBK Gang brethren threw a series of events to celebrate HBK Day, including an in-store event to launch his limited-edition capsule collection release with Pink Dolphin, followed by a free secret show that night. 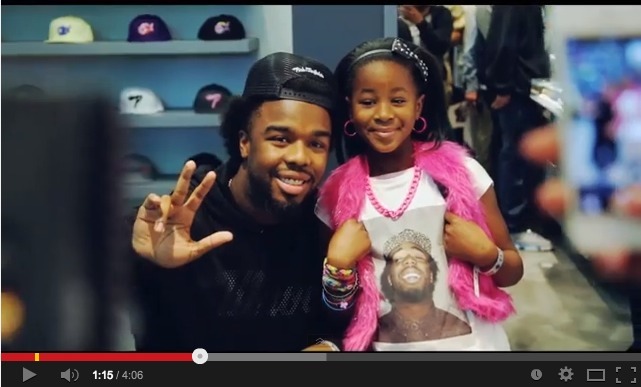 Last Saturday, over a thousand fans rushed to Pink Dolphin’s flagship store in San Francisco, waiting in a line that wrapped around the block, to meet Iamsu! and get first dibs on the release of his 8-piece capsule collection. Fans also received an exclusive CD and a wristband granting free entry to a secret show at Brick & Mortar Music Hall later that night. The CD, Su’s Camo EP, includes several previously unreleased songs in addition to “I Love My Squad,” which was featured on the L.A. Leakers’ latest mixtape and his latest single “Only That Real,” featuring 2 Chainz and Sage the Gemini, which the trio recently shot a video for. The energy at the Pink Dolphin store translated to a high-octane concert, as the jam-packed audience waved their hands and rapped along with Iamsu, Sage the Gemini, P-Lo, Skipper, Kool John, CJ, Rossi, and Jay Ant throughout the HBK Gang’s performance. Please contact Michelle or Rory if interested in talking with Iamsu!. 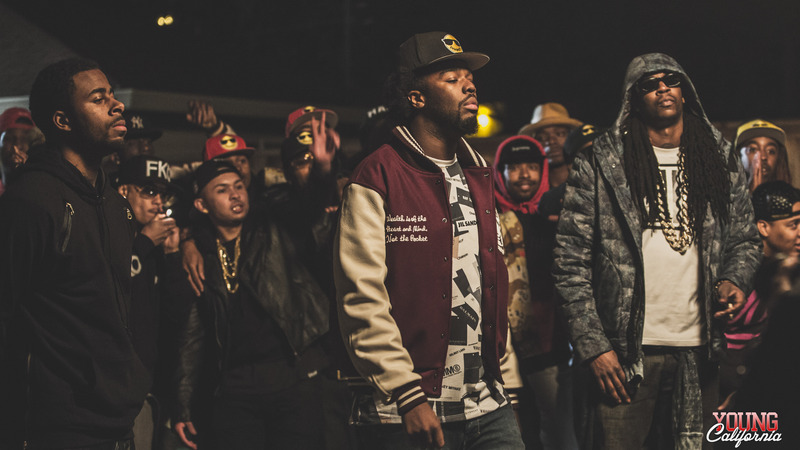 If you haven’t yet heard of the HBK Gang, it’s time to get acquainted. Producer and rapper Iamsu! is considered one more of the most critically acclaimed and commercially successful young independent artists in rap with his hits with E-40 (“Function”), Wiz Khalifa (“Bout Me”), 2 Chainz (“Livin'”), LoveRance (“Up”), and more. Producer P-Lo (of The Invasion) has the driving force behind the West Coast’s current, radio-dominating sound; he’s produced singles for Yo Gotti (“Act Right”), Wiz Khalifa (“‘Bout Me”), and more; Sage The Gemini has been equally prolific, with the above-mentioned single, “Gas Pedal” and now “Red Nose,” which was certified gold and is charting on Billboard’s Hot 100 chart. The rest of the crew includes members Skip, Rossi, CJ, Jay Ant, and Kool John, who were all featured on the recently released crew mixtape, Gang Forever.